Lowepro Passport Sling III camera bag in grey nylon with orange trim. 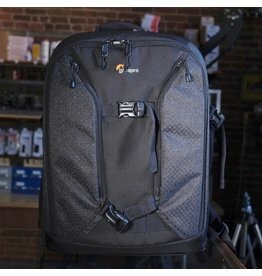 Large enough to carry a DSLR and a pair of lenses, but low-profile enough not to get in the way. 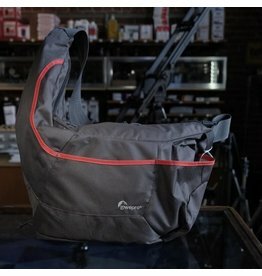 Lowepro Passport Sling III camera bag.